Generating speed, creating time and space, as well as creating mismatches are all crucial when looking to produce offence. 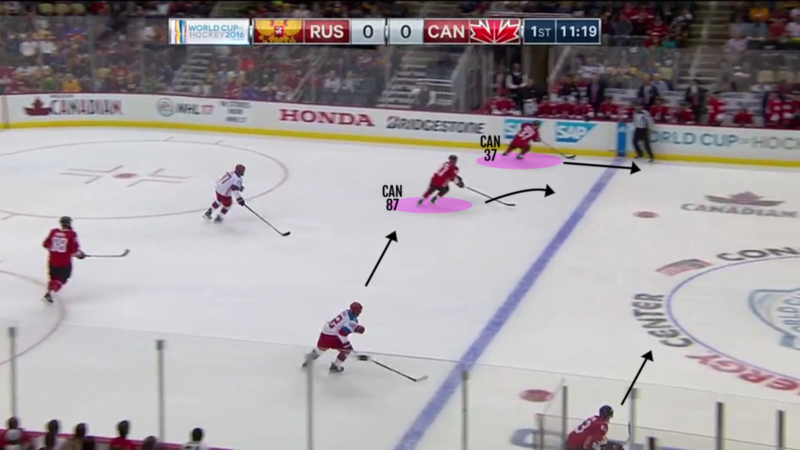 More and more, teams are looking to attack the ice behind the defenders, put them under pressure and create breakdowns. 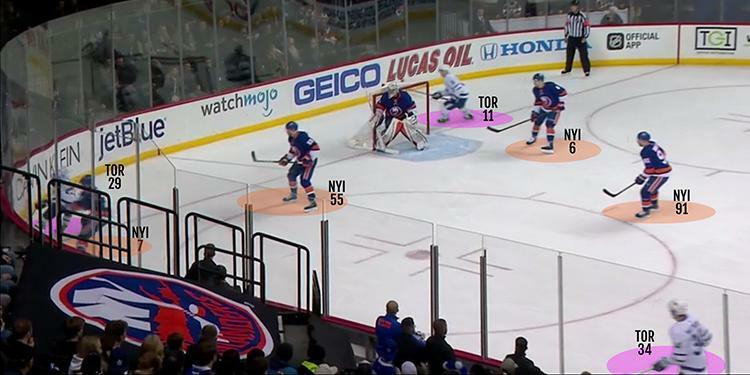 These require honing cognitive skills such as split-second pattern recognition, and anticipation of the play. 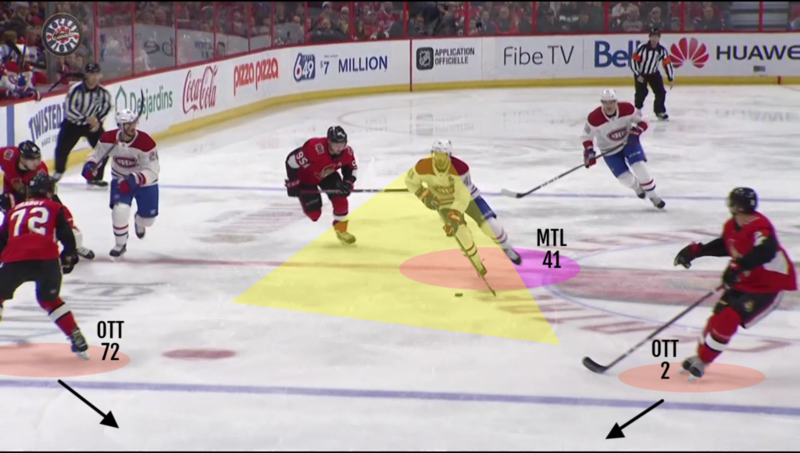 Time and space are at a premium in today’s game and as we have discussed in previous Video Coach editions, manipulating the feet of defenders is a key way to create space. 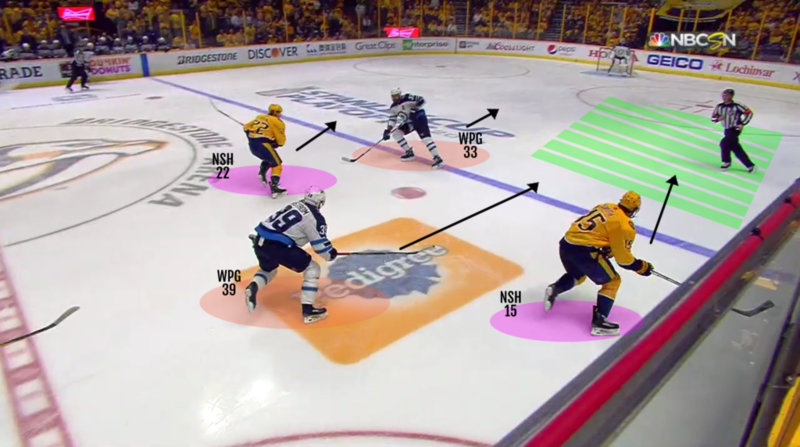 Playing behind the net in the offensive zone provides another opportunity to expand the zone and maximize space. 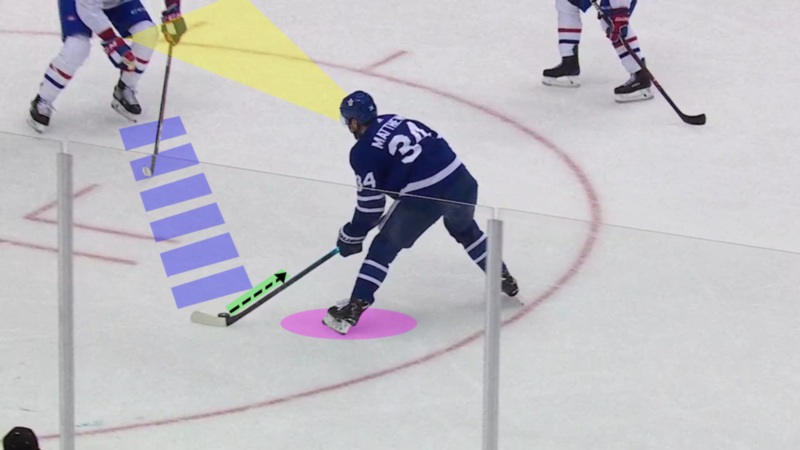 Building on the concept of using indirect passes to create offence, it’s important to remember to support the puck carrier while attacking open ice. 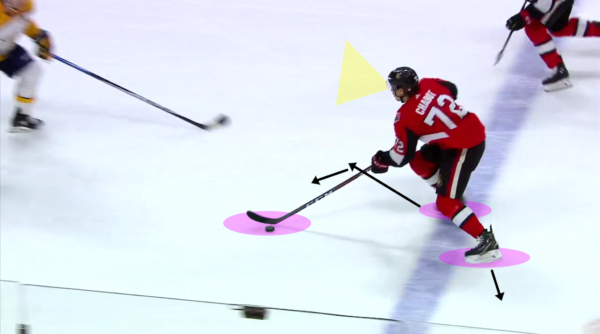 This creative play, called the Bump Pass, helps with team speed and cross-ice support. 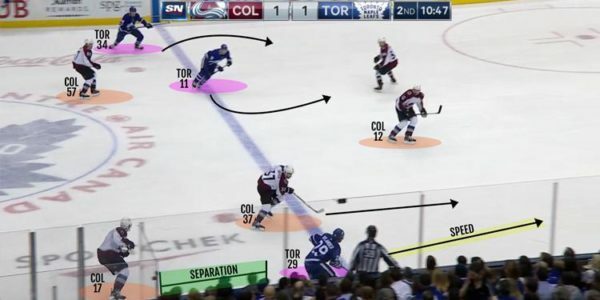 The ability to transition quickly from defence to offence is the margin of difference in many hockey games today. 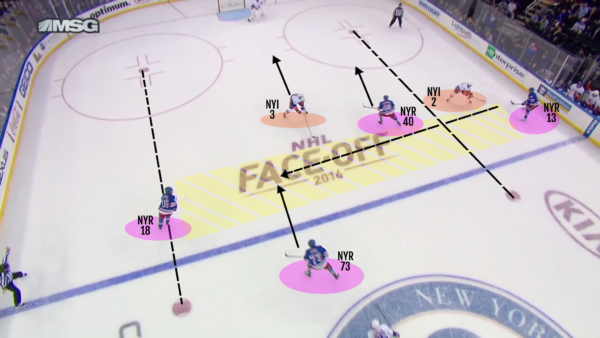 Let’s look at how teams must use speed and smart decision-making to create odd-man situations in order to create offensive opportunities.